In 2015, we are offering four courses on longitudinal data analysis. Longitudinal analysis is the study of short series of observations obtained from many respondents over time and is also referred to as panel analysis (of a cross-section of time series), or repeated measures, or growth curve analysis (polynomials in time), or multilevel analysis (where one level is a sequence of observations from respondents). Longitudinal analysis is used for panel surveys, experiments, and quasi-experiments in health and biomedicine, education and psychology, and the evaluation of prevention and treatment programs. Description: This course treats the statistical basis and practical application of linear models for longitudinal normal data and generalized linear models for longitudinal binary, count, and ordinal data. 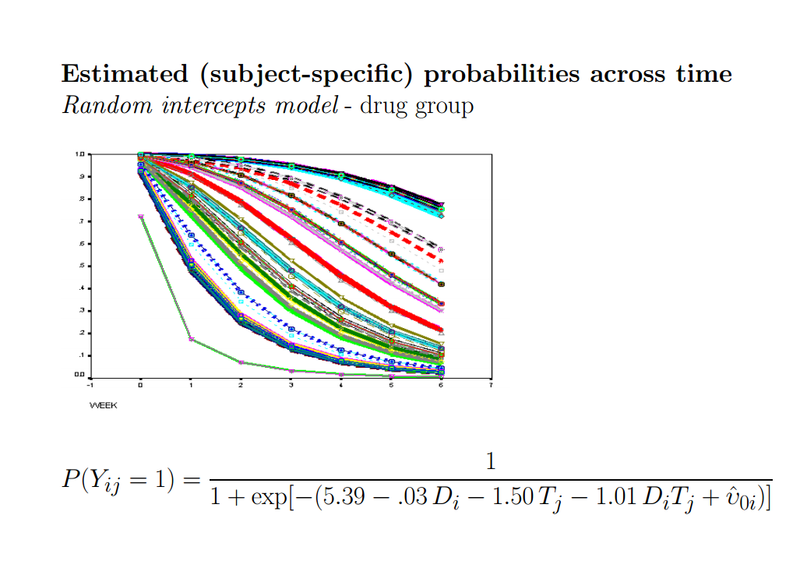 The approach involves inclusion of random effects in linear models to reflect within-person cross-time correlation. Techniques for irregularly observed (unequally spaced) data will be covered. Dates and Time: June 9-12, 9 a.m.-5 p.m. Description: Intensive longitudinal methods, often called experience sampling, daily diary, or ecological momentary assessment methods, allow researchers to study people's thoughts, emotions, and behaviors in their natural contexts. Typically they involve self-reports from individuals, dyads, families or other small groups over the course of hours, days, and weeks. Such data can reveal life as it is actually lived and provide insights that are not possible using conventional experimental or survey research methods. Intensive longitudinal data, however, present data analytic challenges stemming from the multiple levels of analysis and temporal dependencies in the data. The multilevel or mixed-effects model for longitudinal data is a flexible analytic tool that can take account of these complexities, and the goal of the 4-day workshop is to provide training in its use. Dates and Time: June 22-26, 9 a.m.-5 p.m.
hierarchical representation of the model. For dichotomous, ordinal and nominal outcomes, this workshop will focus next on the mixed logistic regression model and generalizations of it. Finally, the workshop will cover missing data issues. In all cases, methods will be illustrated using software, with SAS used for most examples, and augmented with use of SPSS for continuous outcomes and SuperMix for categorical outcomes. Dates and Time: July 13-17, 9 a.m.-5 p.m. Description: Multilevel models, also known as hierarchical linear models or general linear mixed models, provide quantification and prediction of random variance due to multiple sampling dimensions (across occasions, persons, or groups). Multilevel models offer many advantages for analyzing longitudinal data, such as flexible strategies for modeling change and individual differences in change, the examination of time-invariant or time-varying predictor effects, and the use of all available complete observations. Multilevel models are also useful in analyzing clustered data (e.g., persons nested in groups), in which one wishes to examine predictors pertaining to individuals or to groups. This workshop will serve as an applied introduction to multilevel models, beginning with longitudinal data and continuing onto clustered data. You can register for all of these course through our portal.